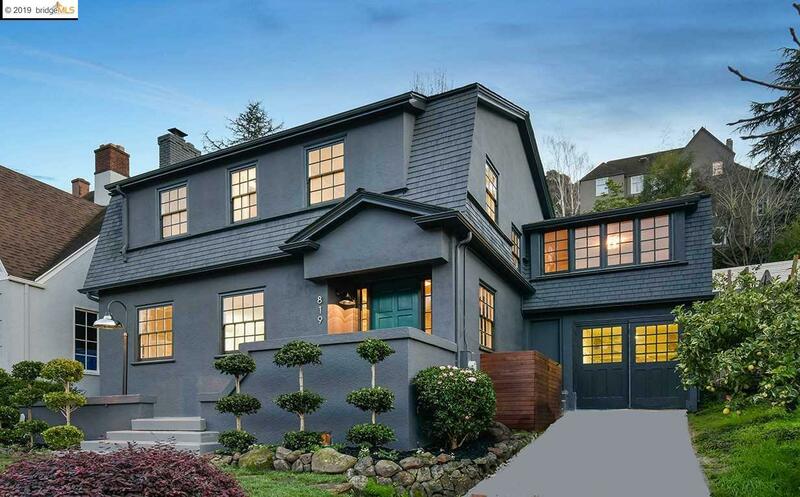 Exquisite Crocker Highlands jewel with rear patio and sports court for entertaining! Just blocks from Lakeshore Ave & the Crocker Elementary, modern aesthetics meet high-level sophistication in this refined home. Freshly renovated kitchen w/custom tile & stone, new stainless appliances & designer fixtures make this space a delight for the culinary minded. Light-filled living room w/ fireplace and floor-to-ceiling bookshelves plus dining room featuring French Doors that flow to the contemporary patio and gardens. Four well-sized bedrooms including the master suite with updated master bath and hall bath are found up stairs & the lower level offers a perfect rumpus retreat or media room for fun-filled play dates or relaxation. The rear gardens are nothing less than amazing. Three separate levels offer a spacious patio for entertaining, a perfectly sized sports court & upper level for your fire-pit or next game of bocce ball, as well as roomy six-person hot tub & outdoor shower.